I can lay Guitar & Mandolin Tracks to your song, & send them online to your Dropbox, or E-mail. Bio: I've been involved in music all of my life. I have taught music most of my life. 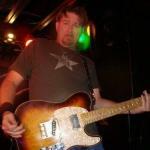 For years, as a professional guitar player and session player based out of Nashville, I've been on the road in the bands of many major & indie country/rock artists. I've played with, or shared the stage with, many national acts, such as Paul Stanley (KISS), Stephen Pearcy (RATT), Jack Blades (Night Ranger), Mark Slaughter (Slaughter), Kip Winger (Winger), Don Dokken (Dokken), Foghat, Ron Keel (KEEL), Montgomery Gentry, Night Ranger, Carrie Underwood, C.C.R., Josh Turner, Skid Row, Mark Chesnutt, Joe Cocker, Darryl Worley, Asia, Little Big Town, Pat Travers, Trace Atkins, Mark Wills, Ron Keel, David Lee Murphy, Marty Stuart, Craig Morgan, Dolly Parton, Big & Rich, Hank Williams Jr., The Outlaws, Trini Triggs, Jeff Bates, Sawyer Brown and many more. 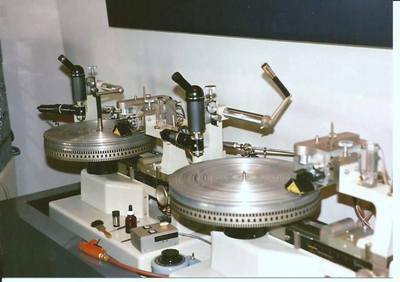 I hail from a long musical family line, including my late first cousin Denny Purcell, owner and mastering engineer of Georgetown Masters Studios, Nash.TN. (his clients included Garth Brooks, Kansas, Willie Nelson, Neil Young); my luthier-to-the-stars cousin Shayne Owens (Patty Loveless, Kip Winger, Thom Bresh); and my grandfather William Cecil Purcell, who played banjo with Red Foley. And, then there was Henry Purcell, the famous 17th century composer who composed many songs for the court of Queen Mary.